$29.95 ea. $24.975 ea. $22 ea. 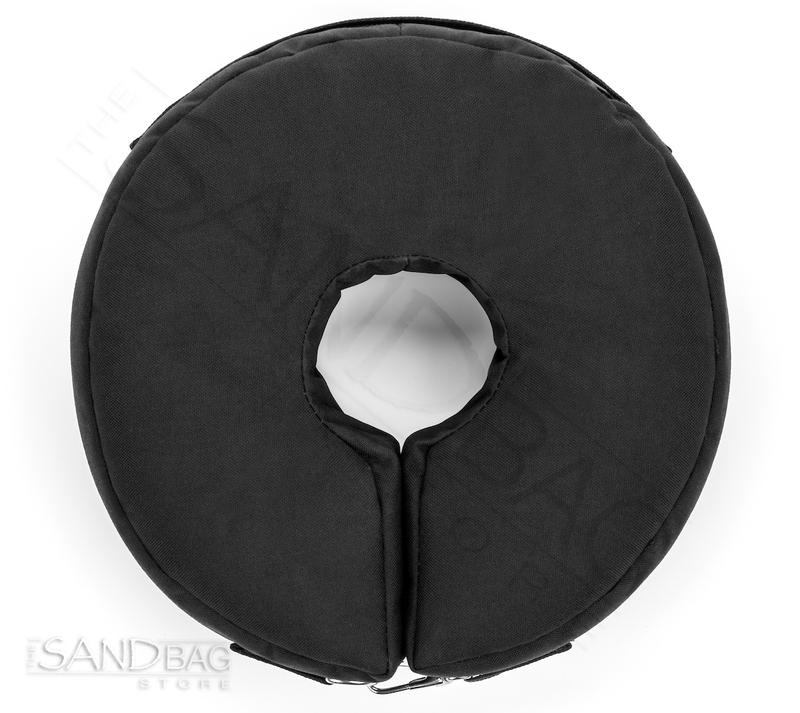 Heavy Sandbag Base Circular Sandbags are perfect for pole bases, backyard umbrellas and other applications where weight needs to be transferred around a central pole. 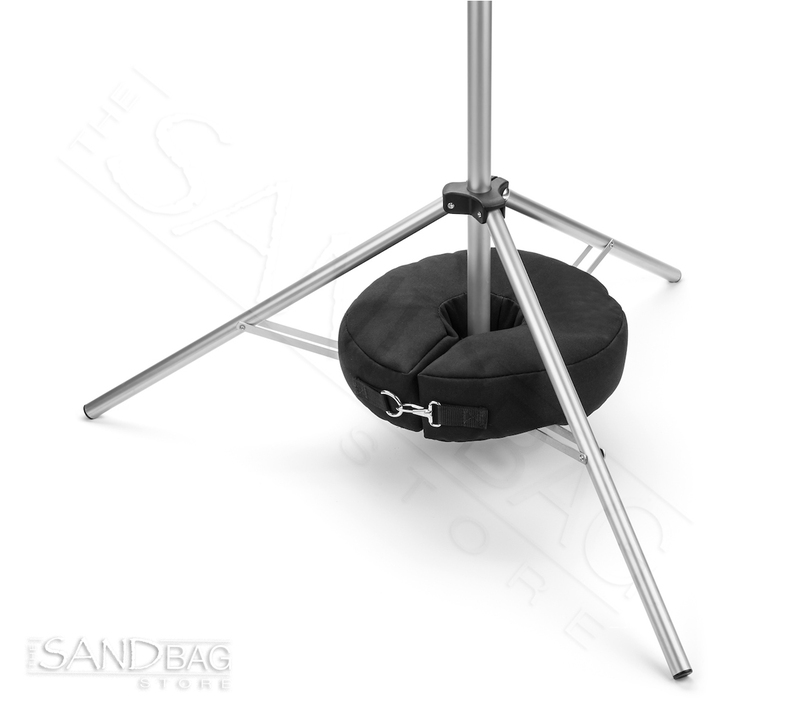 Stackable Each sandbag holds 25 pounds of sand or stone. 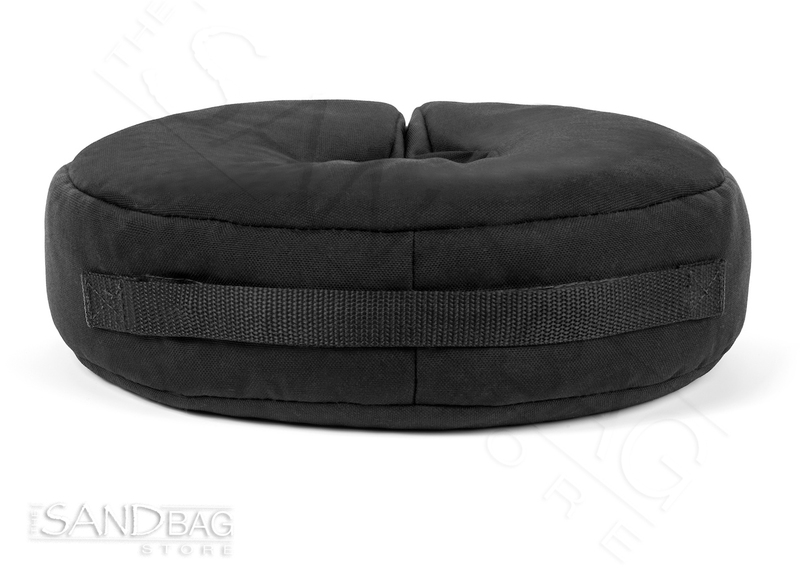 Stack these circular sandbags for as much weight as needed. 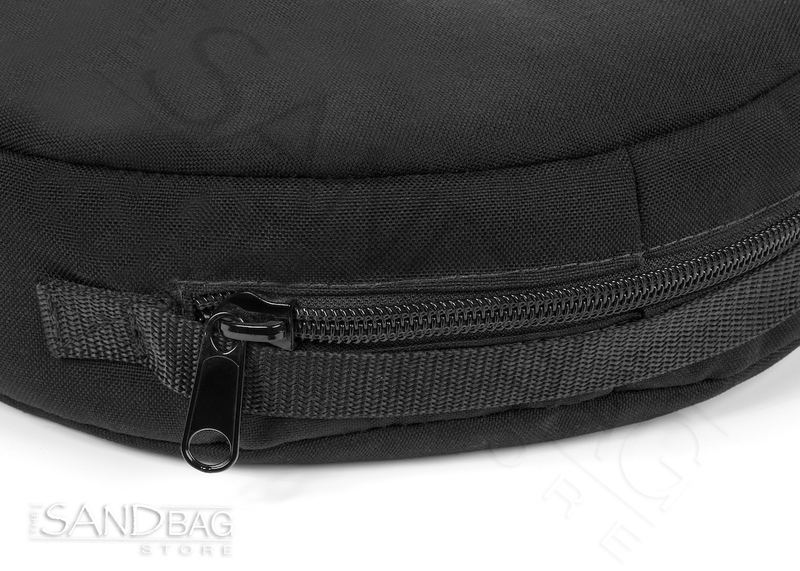 American-Made Craftsmanship High quality Cordura fabric, double stitched seams throughout, sturdy zipper opening, and convenient carry handle attached. Now available pre-filled when you select the filled option above. NOTE: Filled circular sandbags cannot be expedited shipped through our website. 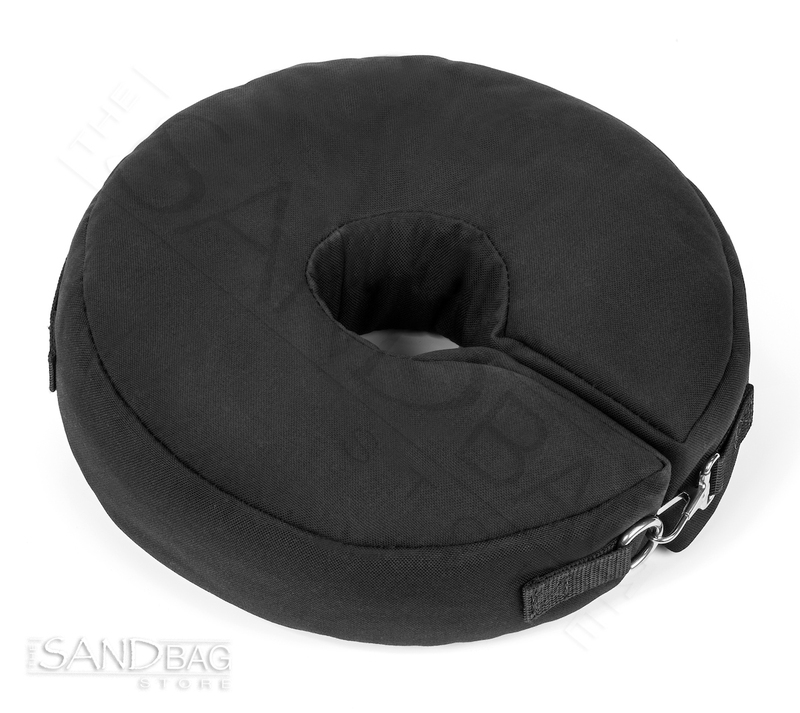 If you need these great sandbags pre-filled, and need them in a hurry, we suggest giving us a call to make that happen. ConsUmbrella turn over once. 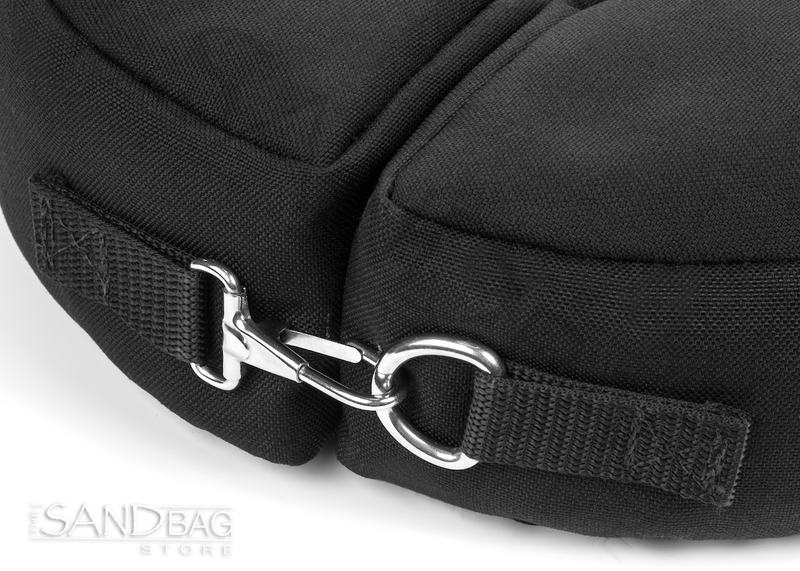 Had to buy a second sandbag to have it really secured. Used to hold down our patio umbrella, works perfect! Very happy with my purchase. It arrived very quickly. Thanks!